I'm back with the second color swatch of the Maybelline Color Tattoo 24 Hour Eyeshadow. The second color that I'm sharing today is Tough as Taupe. Similar to Bad to the Bronze, this is a relatively popular color in the collection. 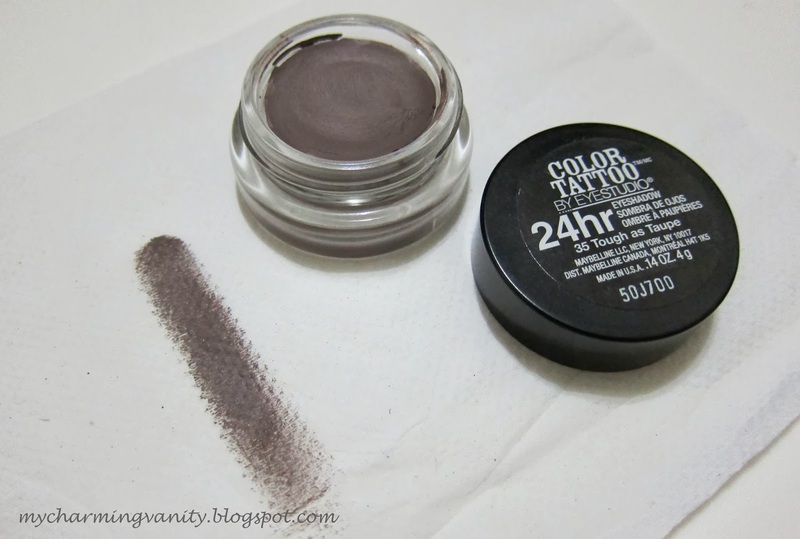 Tough as Taupe is a true medium taupe color with cool undertone. The texture of this product is smooth and pretty easy to work with and as far as it's name suggests, it lasts pretty long on the lid and works relatively well as a base to intensify any eye look that you are going for. The product is packed in a glass packaging with a plastic screw cap. I personally feel that the packaging is comparable to that of MAC's paint pots and I actually prefer Maybelline's packaging as its much flatter and easier to store. Each package comes packed with 14 oz/4 g of product which could potentially last for a pretty long time. 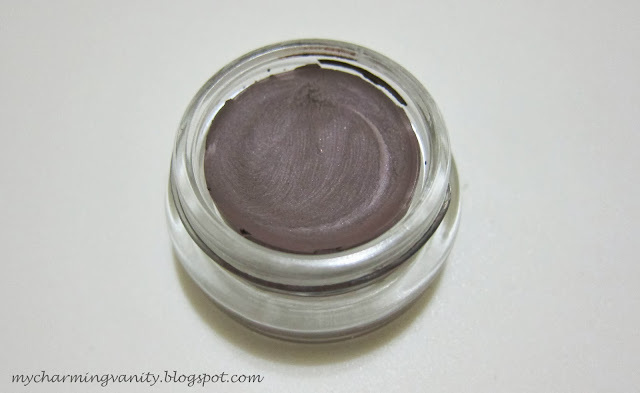 In terms of comparability to MAC's paint pots, I'd still say that the Tough as Taupe tends to be less smooth in texture and also do seems to have the tendency to dry up slightly as compared to my oldie but goodie MAC paint pot. 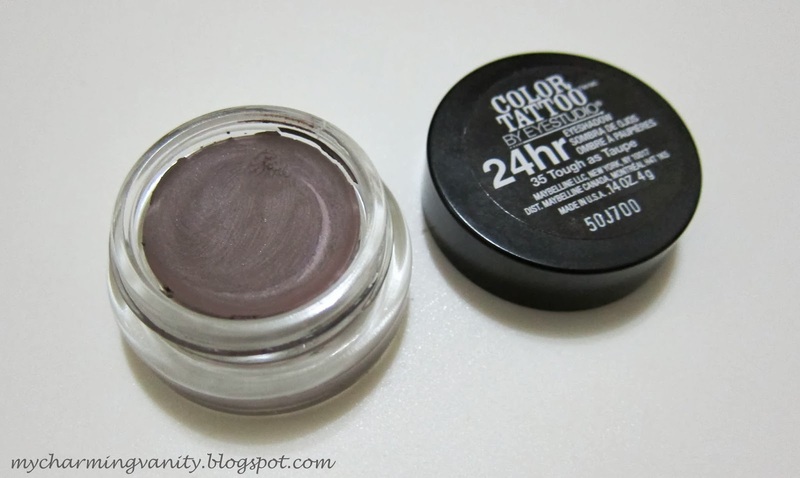 Maybelline Color Tattoo 24 Hour Eyeshadow retails at SG$15.90 and can be purchased online here or at any major drugstores. Have you tried any of the Maybelline Color Tattoo 24 Hour Eyeshadow?